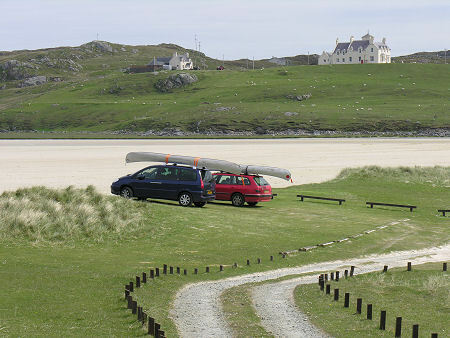 To the traveller in south west Lewis, Glen Valtos comes as a surprise. Narrow, steep sided and two miles long, it very definitely separates two distinct but equally beautiful areas: Valtos to its east, and Uig to its west. On emerging from the eastern end of the glen you descend towards the scattered township of Timsgarry. 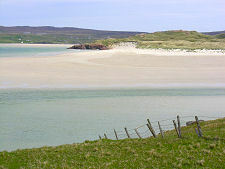 This in turn lies at the north east corner of one of Scotland's most magnificent beaches: Uig Beach or Tràigh Uuige. 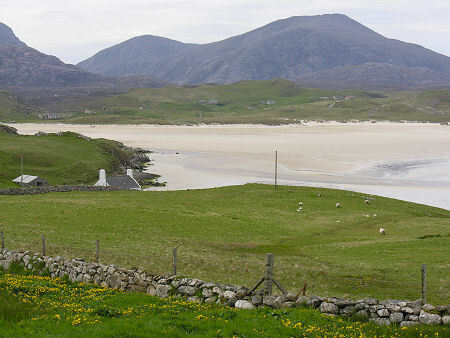 The far end of the loop of road that runs through Timsgarry gives superb southern views over the beach to the mountains beyond. 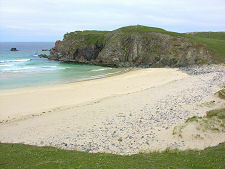 The main access to Uig Beach is from a parking area on its south east side, complete with a nearby campsite. But this is a complex and largely enclosed beach, and you can gain striking views of it from a number of points in the surrounding landscape, especially from the road to the tiny hamlet at Carnais. 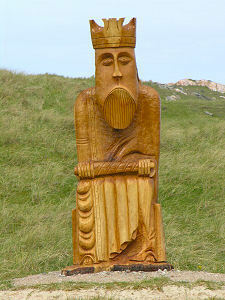 Uig Beach is perhaps best know as the site where the Lewis Chessmen were found, and a large sculpture is now on view to commemorate this beside the road leading to the beach parking area. In circumstances which remain mysterious, the chessmen were unearthed from a stone chamber beneath the dunes behind the beach, some time before 1831 when they were put on display at the Society of Antiquaries of Scotland. The chessmen form part of a number of different sets, and 93 pieces exist in all. Some are now in the National Museum of Scotland in Edinburgh, while most reside in the British Museum. The chessmen are believed to have been made in Trondheim in the late 1100s. They were carved from walrus ivory and whales' teeth and shaped as seated kings and queens; mitred bishops; knights on their mounts; standing castles; and pawns in the shape of obelisks. They may originally have been red and white, rather than the modern black and white. 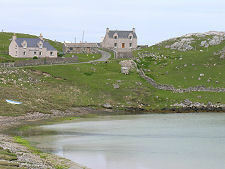 North of Timsgarry a minor road leads to Gallan Head and the settlement of Aird Uig. This is a singular place. 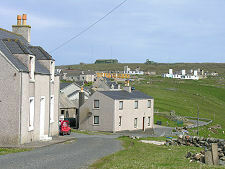 A crofting township stands above the head of the bay to the east of Gallan Head itself. Beyond are the relics of half a century of military use. 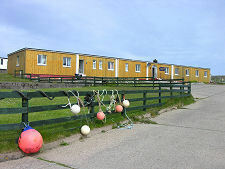 RAF Aird Uig was established as a Cold War radar base, part of the same chain as "Scotland's Secret Bunker" in Fife but with the accommodation above ground rather than below it. Another difference is that since 2003, NATO has reactivated the base at Aird Uig, building new radar masts. The older military accommodation nearer the original village is being converted for residential use, holiday lets and a hotel and restaurant. Beyond Uig Beach a minor single track road continues south down the west coast of Lewis almost as far as the boundary with Harris. 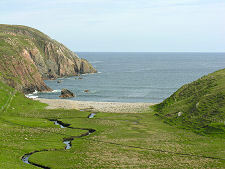 There's some spectacular cliff scenery along this road, as well as a couple of wonderful beaches. Reaching Mhangurstadh Beach requires a walk down a track from the "main" road: but it is well worth it. 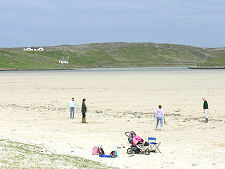 This, like Uig Beach, must be a contender for the title of Scotland's best beach.